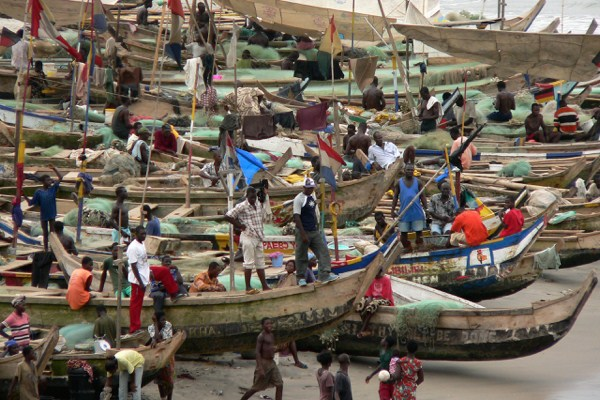 Fishing boats in Elmina, Ghana, Feb. 6, 2005 (photo by Flickr user stignygaard licensed under the Creative Commons Attribution 2.0 Generic license). When the independent rights-monitoring group Freedom House released its latest “Freedom of the Press” report last week, an accompanying world map carried an almost-hidden surprise. The color-coded depiction of media rights across the planet pointed to a predictable breakdown: Europe and North America looked placidly green, while the purple shades of repression dominated most of Africa, Asia and the Middle East.